For you… or anyone you know who has found themselves at the horrific crossroad of needing to choose to persevere. 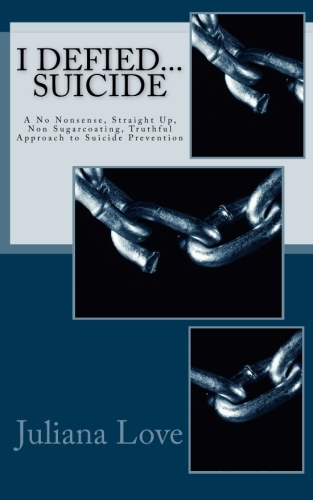 Please stop and read this book or share it with someone you know who is struggling. You are worth it, your loved ones are worth it! 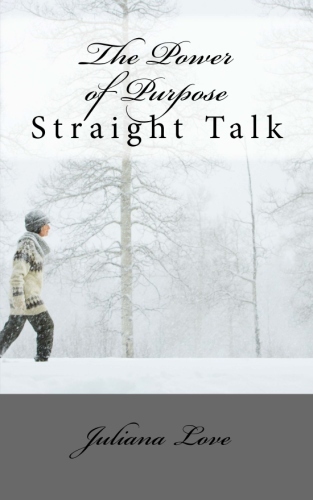 Then don’t stop with this one, go on to read “The Power of Purpose, Straight Talk” by Juliana, and make your decision to bury your struggles and move on to the brighter days you deserve! One short afternoon with two inspirational books will change the direction of your life forever. 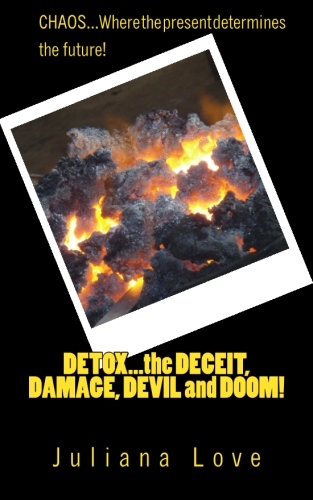 I must learn how to detox myself from the negatives of the world; the gloom and doom thoughts of evil; the way I perceive my life; the destructive battering of verbal abuse; my not so comforting eating habits; and my own self absorbed, “I have to be in control of everything.” God is a God of peace, not confusion. I know I am not the only one in need of this kind of intrusion. God woke me up with this book in my heart. We set the course for our own demise just by how we think. “As a man thinks in his heart, SO HE IS.” It is scary. I might seem all calm, collected and totally cool. But the truth of the matter is, I am living in this sinful world too. We can learn to live above the chaos. We can learn to love who we are and who we are meant to be. But it starts with the right kind of perception and getting rid of the poison. The thoughts and actions of today, determines our every tomorrow! 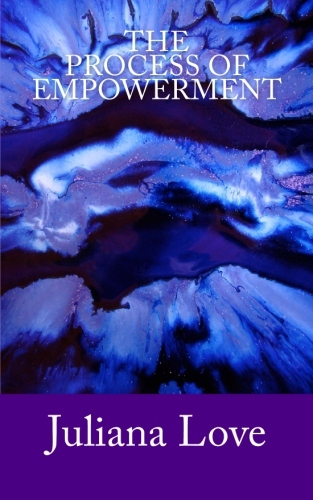 So what does “empowerment” mean anyway? It has to do with giving legal authority to; to enable; or to promote self-actualization of. What the heck is “self – actualization?” In simple terms, it basically means to reach ones full potential. Oh God, what is “potential?” Potential is defined as “capable of being, but not yet in existence of; existing in possibility.” Potential, is what we are after and why I sat down to write this book. If you don’t know what your potential is, you really won’t know how to proceed with the process of empowering it. This short book, packed with powerful tools, will help you fine tune your outside of the box kind of thinking to the possibilities that await you. It is my prayer that God blesses you and shows you His great love for you. He can pull you out of any pit of despair. PLEASE, do not pull that trigger or take those pills. Put down that rope that you intend to kill yourself with. Hang the devil with it instead! Not the one he cheers! Just know you are important. You have value and you have great worth! Do not let anyone tell you different. Do not let anyone steal your dreams either. Just because they gave up on theirs, don’t you give up on yours! Be empowered with kindness, love and charity! You will find the rainbow! 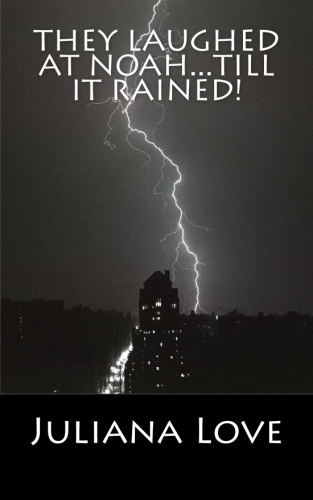 THEY LAUGHED AT NOAH…TILL IT RAINED! It takes faith and it takes courage to rise above the ashes. It takes a whole lot of stamina to keep going when there is nothing but sheer determination to push us along. Sorrow upon sorrow, disappointment upon disappointment, how is it possible to keep pressing in and to keep taking steps when the path has been suddenly blocked? Can God remove the obstacles or can’t He? Is He God or is He simply just someone we are taught about in bible study? Is He real, or is He just another myth like Zeus of Greek mythology? This is a question every human being that ever was, that is or that ever will be, has to answer. This little book…will give you a great big boost of clarity and encouragement! Once on the brink of suicide, and with just seconds to spare, God intervened on my behalf. I was brought back from utter despair, of the trauma and nightmare I was living with, due to a brain injury. If you or someone you know is struggling with giving up; is deep in depression; facing PTSD; OCD or Traumatic Brain Injury, this book is a must read. Have you ever had a dream so big you knew it was literally impossible to see come true? Are you at the point of giving up because that mountain in front of you, is so high, you know you definitely cannot climb it? Do you feel completely crazy for even having the nerve to think such outlandish thoughts that you could actually make it? Then this book is for you. Welcome to the club of crazy dreamers who dare to be different. If can overcome the odds, then so can you. Juliana Love has written an exceptional book about not giving up on your dreams and goals. This book is an encouragement for those that feel like giving up and that your goals are impossible to attain – she exposes herself and her life trIals & struggles, bother physically and emotionally. 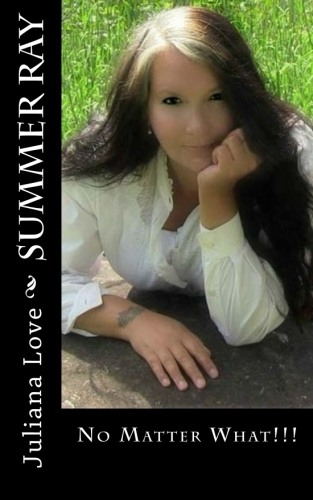 But she dared to live the dream of accomplishing her goals of overcoming her physical problems as well as her dreams of writing her series, “Summer Ray.” I cannot recommend a series more than I do with Summer Ray, and I want to encourage everyone to please read this series and see what an amazing author Juliana Love is! An exceptional book of inspiration, tenacity and fight for life. “Summer Ray: No Matter What” is an honest and open conversation about acknowledging, accepting and persevering over the setbacks we all face throughout this beautiful mess we call life. Anyone who is struggling, has ever struggled or dares to dream and hopes to attain their life’s dreams needs to read this book! I’ve just finished reading No Matter What. It is beautiful. It is Inspiring. If you have ever tried to accomplish something or have had a dream or have an obstacle to over come, you must read this book. Even if you’re not a big book reader, what she has expressed in this little book will open your heart and soul to the amazing possibility we all possess.